10mm Compression Tee Piece Gas It - GAS IT Leisure Gas Bottles, Gas Cylincers and Gas Tanks - Catering, Motorhome, Campervan, Caravan, Farrier and Road Repair Refillable Gas Solutions. 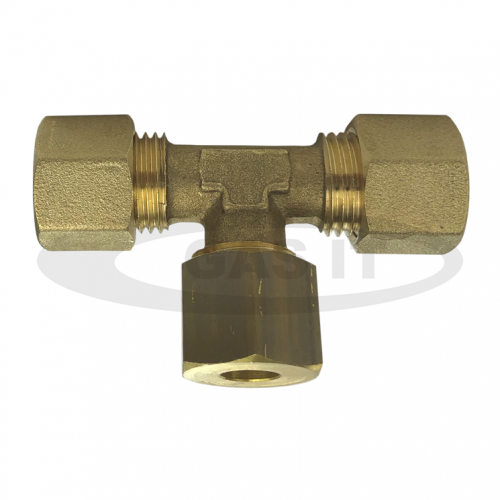 High quality, approved, brass 10mm equal compression T union to allow 10mm copper to be joined. Comes with all required nuts and olives.